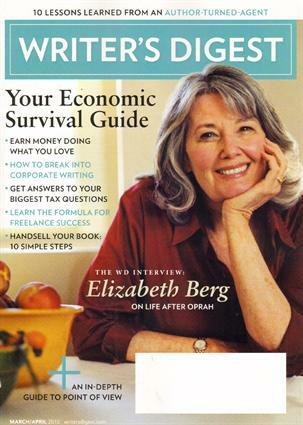 As many of my regular readers know, I think Writer's Digest is the source of a treasure trove of information for writers. The current issue (May-June) is no exception. Consider just two of the articles it contains. For writers of suspense and mysteries, award-winning author Elizabeth Sims has tips for making our writing real. She gives the wrong and the right way to deal with coincidences (make them believable), descriptions (come up with your own, avoid cliches), false clues and red herrings (build them in, don't just throw them in), dialogue (make it arise from the situation, not just an excuse to dump information), and character motivations (almost unbearable forces). For writers who've been inspired by Anne Lamott's classic book, Bird By Bird, there's an excellent interview with Lamott, with information about her new novel and her thoughts on writing and on life. And it was neat to see colleague Jim Rubart, author of the hit novel Rooms interviewed in the "breaking in" section. There's more, but surely this is enough to convince you that this is a worthwhile periodical for anyone interested in writing.Try it and see. Now for an announcement. TIME IS RUNNING OUT! 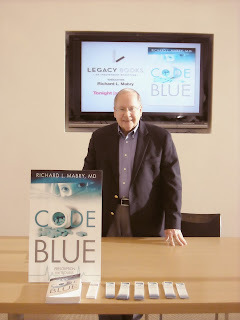 I've done a bunch of interviews since the launch of Code Blue, and in many instances they've included a giveaway of a signed copy of the book. 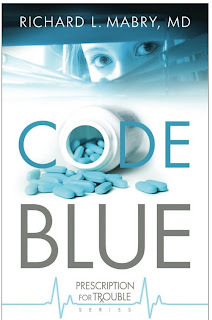 Now I'm running a contest for the best three interview questions from my readers, with the winner receiving a copy of Code Blue. The deadline for entries is noon on April 30, so hurry and get your entries in. Surely you have questions you'd like to ask me. Just click on this link, read the details, scroll down to the comments section and leave your three questions. Good luck. Since the release of my first novel, Code Blue, I've had some people comment that the life of a writer must be glamorous. Maybe that's true for J. K. Rowling or Tom Clancy, but not for the average writer. Let me dispel some of those myths from my own experience. I won't dwell on how long it took to even get a basic knowledge of the craft of writing. We can skip over the anguish of writing novel after novel, only to have them rejected. 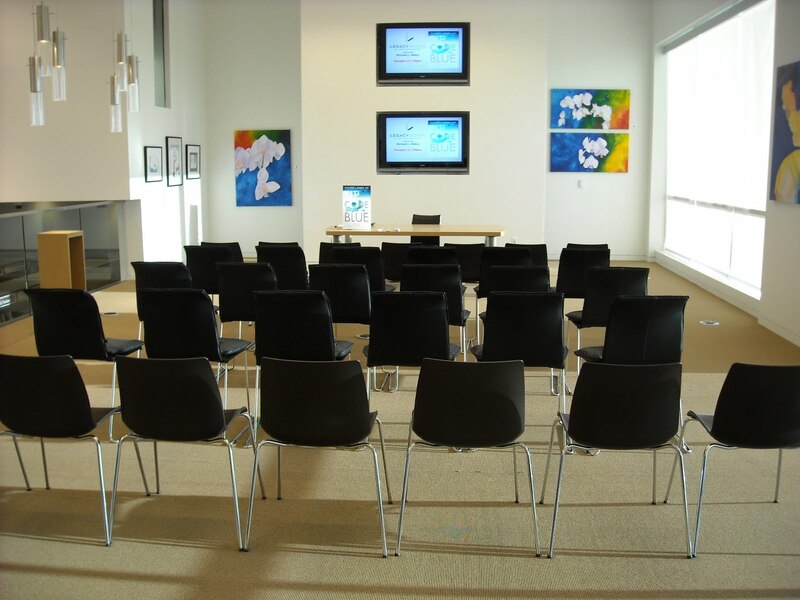 Take as a given the difficulty of obtaining representation by an agent. Gloss over the numerous rejections, the communications that say, "Does not meet our needs," and the boiler-plate rejections. Start the story, as we writers are told to do, in media res--in the middle of the action. A contract has been signed, the manuscript has been revised and edited, a new title selected, a cover devised, and eventually the book appears. I hold it in my hands much as a proud parent holds his firstborn. Surely there must be firecrackers and sky rockets going off outside. No, I peer through the window and all I see are the guys mowing my neighbor's lawn. And they don't knock on the door and ask for my autograph. There are book signings, blog interviews and guest columns, and appearances before book clubs. But at church, at the grocery, at the cleaners, and eventually even around friends and family, I'm back to being just Richard. But that's okay. I didn't begin writing to become famous. I knew going in that the chances of that happening were pretty slim. I write because I love the challenge, and I love the activity itself. I guess I'm sort of like the son who had an argument with his parents and ran away from home to join the circus. They finally tracked him down in a nearby town, where they watched the performers parade down Main Street. They looked in vain for him among acrobats, animal trainers, clowns. Finally, here came the elephants, at the rear of the parade. And behind them was their son with a pail, scoop, and broom, cleaning up the elephant droppings. They waved to catch his attention. "Son, we're so sorry. Please come back home with us." He spared them only a glance before he resumed sweeping, calling over his shoulder, "What? And give up show business?" I guess that's the kind of fame a writer has. And it's good enough for me. Cathy Bryant has graciously posted an interview with me on her blog today. Check it out, and leave a comment for a chance to win a free copy of Code Blue. By my count, in the past month I've been fortunate enough to be featured on over twenty different blogs and websites, and in many instances I've offered a copy of Code Blue to one of the commenters. That set me wondering. Why don't I give a copy to a loyal reader (or even a not-so-loyal one) of this blog? Good question. But instead of leaving the choice of the recipient up to a random numbers generator--an entity I never suspected existed until I Googled it--I decided to make it a contest. -I'll contact you for your snail mail address and send you an inscribed copy of Code Blue. And, if you've already bought a copy, I'll send one to whomever you choose, along with a personal note telling them of your generosity. -I'll answer your three questions in this blog the following week, and post a head shot of you (which you'll need to send me) at the top of the interview. -I'll give you a month to send me a potential guest blog. If it's suitable, I'll publish it here at Random Jottings. Three rules: 1) Provide a valid email address at the end of the comment, putting it in this format to foil webcrawlers (your name at server dot com). 2) Play fair. No spitting, biting, cursing, or plagiarism. 3) Decision of the judge(s) is final. Now what could be fairer or more fun than that? I look forward to your questions. Thanks for playing. When you walk into a bookstore, looking for a particular book, have you ever had to ask for help because you're not sure in which section it would be displayed? Matter of fact, who designates all those classes of books? How many are there? What are the definitions? Truthfully, each bookstore or chain has its own way of classifying books. There's no hard and fast set of definitions. But it does help the reader who's hunting a novel they'll enjoy if they know roughly the type of book they want and how to describe it. Author Peg Phifer decided to give readers of her blog some help in this regard, and she's devoting this entire month to posts by various authors about different classes of books. 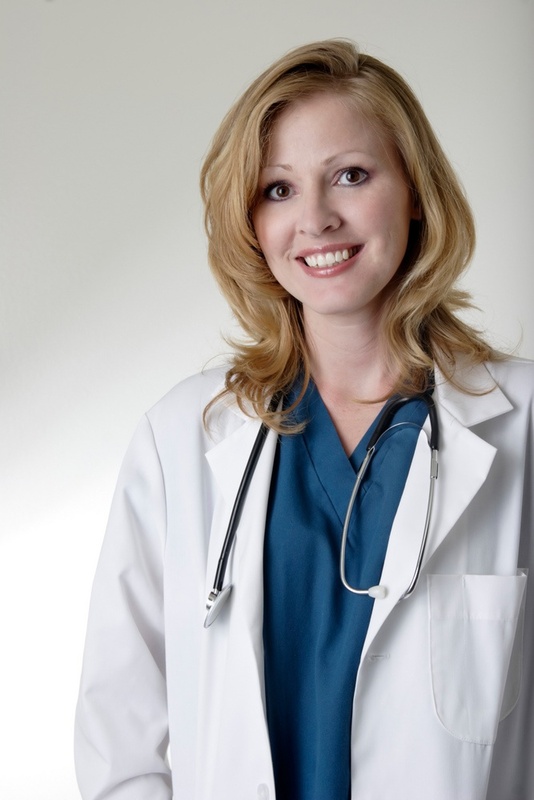 Today at her blog site I discuss my particular brand of fiction: romantic medical suspense. That's sort of a hybrid, but it also puts my work into a relatively small class of books as compared with, for instance, Amish romance. I think you'll enjoy all the posts in this unique series. 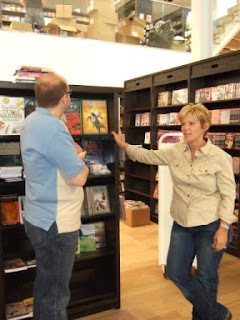 Author CJ Darlington has a very in-depth interview with me today on Title Trakk. You might learn a few things about me that you didn't know, including my fear of heights. Thanks for digging deep, CJ. 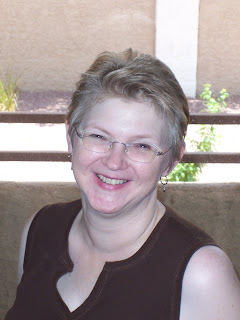 Also, ex-Texan, colleague, and author Candace Calvert has posted an interview with me on her blog. I hope you'll check it out and leave a comment. 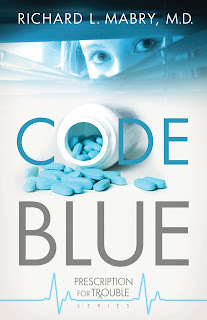 One commenter will win a signed copy of Code Blue. While you're there, learn how Candace and I met at the ACFW meeting last year, kneeling across from each other over a patient. Now here's a hint: read these interviews and some of the other recent ones to which I've posted links, because on Thursday I'll be posting news of a contest on this blog that involves interview questions. Pique your interest? Good. See you then. More perspiration than inspiration today, but I suspect that's universal. I hope your taxes are done, or at least a form prepared requesting an extension. Thanks to friend and agent, Rachelle Gardner, for directing me to this material from the NY Times: tax form for the "marginally employed." That includes writers, by the way. Read it and grin. The baseball season has just begun and the Texas Rangers are looking good. Dare we hope for a play-off contender this year? Hope springs eternal in the heart of Ranger fans. Meanwhile, the Dallas Mavericks are headed for the basketball playoffs, and the Dallas Stars are off the ice for the last time this season. Win some, lose some. Sort of like life in general, isn't it? It's spring in Texas, which means seas of bluebonnets have sprung up on the roadsides. Usually on Easter you can see families in their Sunday best taking pictures of their children in the midst of the bluebonnets. This year Easter was early, and they had to settle for green grass and a promise. Spring fever is in full swing, and it's infected me as well. Maybe next week I'll feel more productive. Meanwhile, have a great weekend. 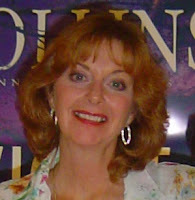 Today, fellow Abingdon author Jennifer AlLee is interviewing me on her blog. Hope you'll click this link to drop by and read it. Leave a comment while you're there. And come back here later in the week for more Random Jottings. As promised, I'm posting photos from last Thursday night's book launch. I'm indebted to Kyle Hall and the staff at Legacy Books for the help and cooperation. And, of course, my wife Kay was the perfect hostess, keeping me calm (within the bounds of reason), serving cake, chatting with those who showed up, and in general making things go smoothly. Every book launch party has to have a cake. Ours was a tres leches cake, and although I didn't go the whole nine yards by having it decorated like the cover of the book (come on, people--we're just going to eat it), it served the purpose well. Here I am, behind the same desk and chair that Sara Palin used when she signed at Legacy Books. We didn't have Secret Service protection for this one, but on the other hand, we didn't have a crowd in line around the block, either. But they eventually did show up--we found later that there had been a major wreck and traffic tie-up in the area. This is just part of the group that attended. I talked a bit about my journey to publication and answered some questions. Then we enjoyed coffee and cake. And, of course, I signed some books--about 30 before it was all over. My thanks to everyone who attended. Thanks, again, to Kay for all she did to make the event go smoothly. Thanks to Jan Kreider for some of the photos that appear here. 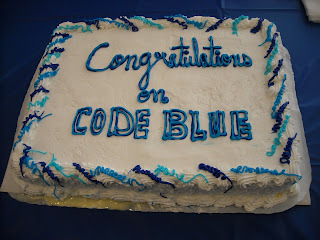 And thanks to those of you who follow my blog who've already purchased Code Blue. I appreciate it. I suspect that my loyal readers are as tired of reading about all the activities leading up to my book launch as I am of writing about them--or living through them, for that matter. Let's talk about something that's a lot more interesting: baseball. I've always loved the game. 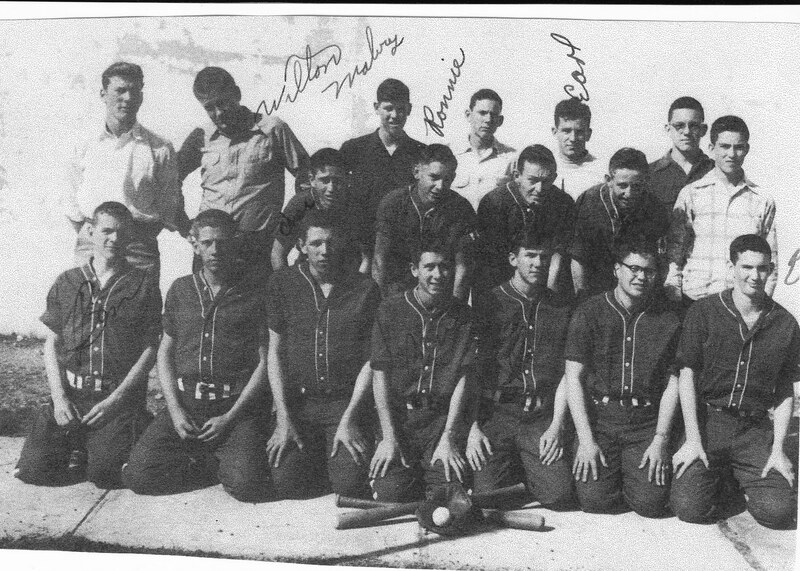 I began playing when I was in grade school, and by the time I made it into high school I was on the baseball team. See if you can pick me out of the picture above. (Hint--don't be fooled by my cousin, Wilton Mabry, who signed the picture. I'm one of the guys in uniform). 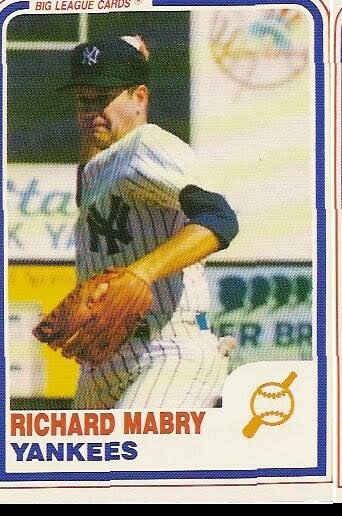 I managed to play some semi-pro ball while I was in college, but those were the days before the designated hitter. Since I could throw a curve ball but couldn't hit one, I think medicine was a better career choice. Many years later, I was given the opportunity to attend a number of baseball fantasy camps. That's where the baseball card comes from. 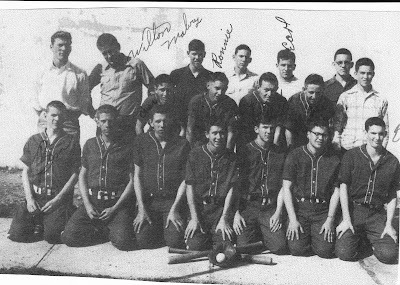 I've played alongside Mickey Mantle, Whitey Ford, Enos "Country" Slaughter, "Moose" Skowron, Brooks Robinson, Maury Wills, Juan Marichal, Milt Pappas, just to mention a few. My first novel--the one that still languishes on my hard drive, features a physician who failed to make the grade in pro baseball, but gets one more chance when he returns to a baseball fantasy camp. The editors (especially the men) loved it. Unfortunately, the bean-counters on the Pub Board didn't. Anyway, the baseball season is upon us again. So writing may have to go onto the back burner for a bit, at least until the Texas Rangers begin to lose. Until then...Play Ball. PS--I just realized I'm the "featured author" right now on the ACFW (American Christian Fiction Writers) website. The interview tells you a bit about me, including more on my first novel about baseball and medicine. You might want to check it out here. Therese Walsh, author (Last Will of Moira Leahy) and co-host of the great web site Writer Unboxed, did an in-depth interview with me recently and the second half of it is posted here. In it, we cover how I got an agent (first, quit writing--but there's a lot more to the story), what is involved in writing Christian fiction (I write from a Christian worldview, and don't write anything I wouldn't want my wife, mother, or daughter to read), and what's ahead in my writing journey (two more novels coming out at six month intervals, one more just started and it's going to be a stunner). Hope you'll drop by and read this one. I enjoyed doing it. Tomorrow, a post about something other than writing (all together now: "it's about time.") And Monday, a report on my book launch last night. Today I'm visiting my agent, Rachelle Gardner, at her blog. Hope you'll stop by and read my guest post. In addition, romance writer Keli Gwyn does an in-depth interview with me today on her site. You might be surprised at some of the questions and my answers. Tonight is my book launch party. I'll have a report and a couple of photos early next week. 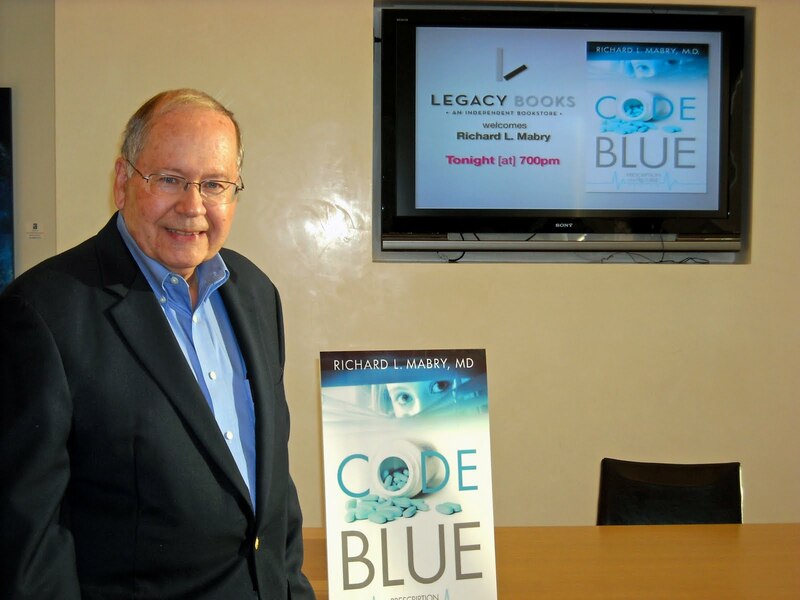 This is a view of Legacy Books, the independent bookseller where my official launch party for Code Blue will be held at 7:00 PM on Thursday, April 8. In case you've skipped my prior posts, consider this your personal invitation to attend. As I think about book signings, blog interviews, guest posts, and other activities designed to acquaint readers with a book, I have to wonder: How much good does all this do? You may notice, as you browse through a book store, that some books are "faced"--that is, turned so that the front cover, rather than the spine, faces outward. You'll also see books featured on tables and other displays. What determines this? Although they won't be quoted, most people in the industry to whom I've addressed this question admit that publishers sometimes pay for this positioning. Does that influence you to buy a book? You'll see interviews with authors online in various blogs or websites. You may even hear them on a radio show or, in rare instances of high profile authors, see them on TV. Have you ever bought a book as a direct result of seeing or hearing the author? Book signings can be fun, but there's always the risk that they turn out like a party that no one attends. Have you ever attended a book signing? Did you go there with the express purpose of meeting the author? Of buying that book? Or did you just want to see what one was like? Maybe you heard rumors that there would be candy on the table in front of the author (I plan to provide Hershey's chocolate kisses) or that cake would be available (it will be at my book launch). Why do people go to these events? And do they sell books? I maintain that most books sell because of word-of-mouth endorsements. Oh, it's great to have authors and reviewers rave over a book (and I've been fortunate in that regard), but I'm betting that the best tool for selling a book is a friend or acquaintance saying, "I read it. It's really good. You may want to try it." So what's your opinion? Meanwhile, it's time to do the final editing on the next book on the series. The fun never ends, does it? For those of you who left a comment about the interview with author Candace Calvert, my random number generator (isn't the Internet wonderful?) tells me that Caroline will be receiving a copy of Disaster Status from Candace. Thanks to everyone who stopped by. Best-selling author Brandilyn Collins lends me her platform today to post a bit about "the call" vs. "The Call." Hope you'll read what I have to say. And thanks, Brandilyn, for allowing me to share your blog. Author Elizabeth Ludwig hosts me at at her blog today, where I've posted some reflections I hope you'll find interesting. Finally, the American Christian Fiction Writers have honored me by posting an interview with me as their featured author. You can read it here. Hope you enjoy it. Whoever said that all an author has to do is write is correct, assuming that you include interviews, blog posts, and Twitter and Facebook contributions. Now back to work. The angel spoke to the women: "There is nothing to fear here. 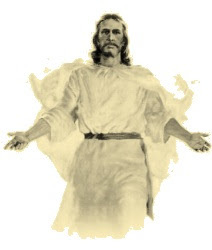 I know you're looking for Jesus, the One they nailed to the cross. He is not here. He was raised, just as he said. 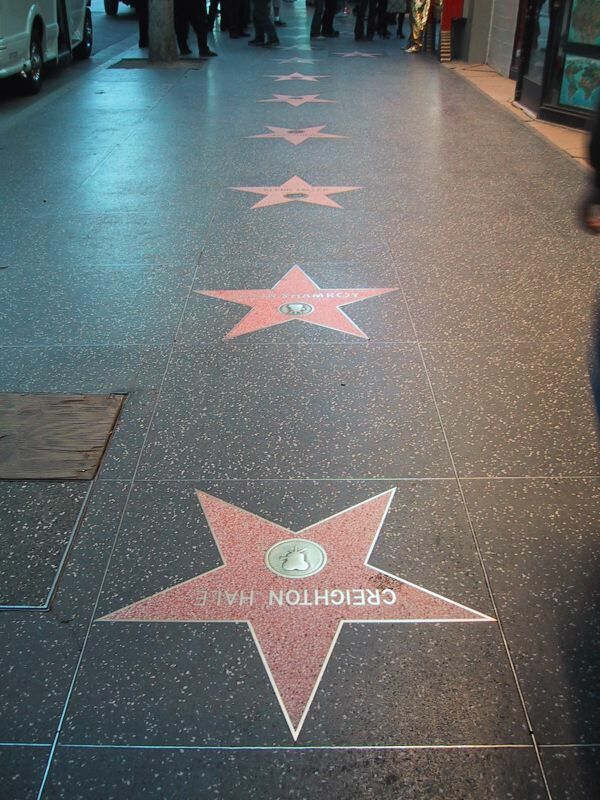 Come and look at the place where he was placed. Rel Mollet from Relz Reviewz has posted a character review with the protagonist from Code Blue. Drop by Rel's site and learn about Dr. Cathy Sewell. You might even find a comment from Cathy herself. Thanks, Rel. Also, Therese Walsh interviewed me for her great site, Writer Unboxed, and that posts today as well. You might be surprised at some of the questions and answers you'll find there. Finally, my story of how I got my agent appears today on Chuck Sambuchino's excellent literary blog. Chuck's site is a must for writers, and I'm flattered to be featured. This is a busy time for me, with a number of guest posts and interviews. I hope you'll check them out, not just to see what I've had to say, but because the sites themselves are quite worthwhile. I hope you'll bookmark them and keep coming back, even when I'm not dispensing wisdom there. It seemed to take forever, but the big day has finally arrived. Today is the official release date for Code Blue. If you've pre-ordered it, all the major booksellers should have it available by now. If you'd like to order a copy, you can click on this link or this one to order it. You can also either find it or order it through your independent bookseller. The bookstore at the Mount Hermon Christian Writer's Conference at which I recently taught had some copies available, and they went pretty quickly. I was privileged to sign those at the faculty signing on Monday night. I'm encouraged by the reception it received there. Today, I'm guest blogging at the ACFW blog site, talking about the central theme of Code Blue: "You can't outrun God." My "official" launch party will be held at Legacy Books (north Dallas North Tollway at Legacy) at 7:00 PM on Thursday, April 8. I'd be honored if those of you in the Metroplex would join me for cake, coffee, conversation, and a few autographs. Look for photos and a report on the festivities later.